MCALLEN, Texas — Mexican authorities have announced that the 43 students that had been kidnapped by police were executed, their bodies set on fire and the remains dumped in river. The revelation was made Friday by Mexico’s Attorney General Jose Murillo Karam when he gave an update on the investigation into missing students from Ayotzinapa in the Mexican State of Guerrero. The municipal police from the rural towns Iguala and Cocula had kidnapped the students on September 26 as they made their way to Iguala to protest an event held by the mayor’s wife. Under the orders of Iguala’s Mayor Jose Luis Abarca the cops kidnapped the students and then turned them over to hitmen from the Guerrero’s Unidos drug cartel. 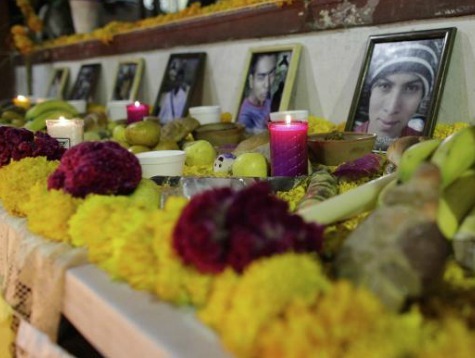 According to witness testimony from three suspects who confessed to the murders, the students were executed, their bodies set on fire and the remains places inside trash bags which were dumped into a river, Murillo Karam said. As part of the investigation, authorities found multiple mass graves near Iguala and Cocula however the bodies in those graves are not those of the students, he said. Authorities have made 74 arrests including the Abarca and his wife but the investigation remains open, Murillo Karam said. The claim of the students having been executed and their bodies set on fire matches with what Catholic Priest and activist Father Alejandro Solalinde said shortly after the students went missing. Solalinde has spoken to multiple Mexican news outlets claiming that he had learned of the student’s.